A craft beer company has created new brews to help the plight of sea turtles in Africa. Brooklyn Brewery is bringing a new "fun and unpretentious" brew to the UK market. The new beers are the brewery's biggest launch in six years, as it looks to "evolve to meet the demands of younger drinkers," managing director, Rupert Thompson said. Coca-Cola European Partners (CCEP) has moved its Honest brand into lemonade to cater for grown-ups wanting soft drinks. Carlsberg has a new recipe, a new font, a new bottle design and even a new name, as part of a "bold strategy" to revitalise the beer in the UK. The soft drink will also be taking the Premier League Trophy on a tour around the UK in March and April as it looks to promote its new three-and-a-half year, multi-million-pound sponsorship deal. The sun shining on England's World Cup adventure helped beer sales in the UK experience their biggest year-on-year growth since the 1970s. The new ad, called Race Car, features a slow car race through Somerset and the West Country. 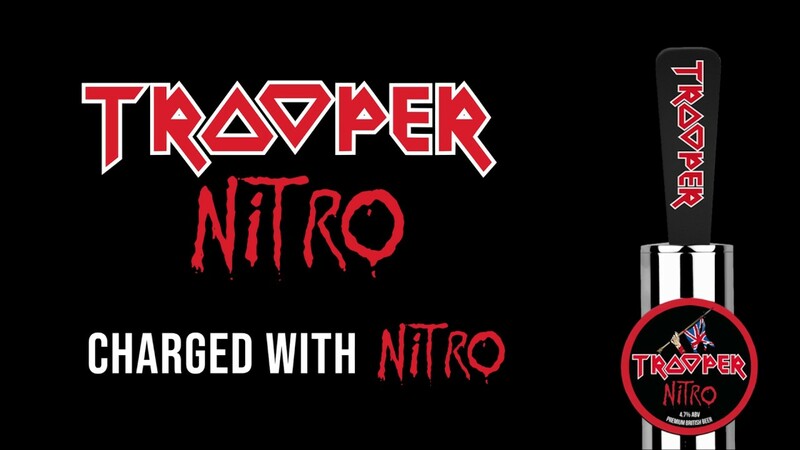 Trooper Nitro will be "the first of many exciting projects with Bruce Dickinson and Iron Maiden that are in the pipeline for Trooper in 2019," said Ben Robinson, director of sales at brewer Robinsons. The Budweiser and Stella Artois owner said the move will ensure British pub-goers get more choice as well as a high-quality pint. Brewer Molson Coors launched the Made Local activity for the brand today (February 4). If you fancy entering your venue as the UK's Best Independent Craft Beer Bar or Pub in this year's awards you've now got until February 15 to do so. More Scottish on-trade businesses are in growth than at this time last year – but many have serious concerns about the impact of Brexit. How are you combatting Blue Monday in your pub? Beer is the driving force behind the spike in the popularity of low and no alcohol alternatives – but more must be done to bring labelling in line with Europe. Diageo has revealed a limited-edition range of single malts ahead of the hotly anticipated final series due to air on April 14. The Surrey brewer is promoting its flagship ale, TEA (Traditional English Ale), this January with a campaign that encourages people to get down the pub and has also announced it is building the first traditional style kiln to be constructed in over 100 years. Including an IPA, a spirit and a non-alcoholic version of Peroni.